Out at Raglan again today to show another visitor around. Last week we watched as people jumped off Te Kopua bridge. It was a sad day today out there; a teenager drowned when someone landed on top of him after he had jumped off the bridge. Two hours later the appetite for bridge jumping was still as strong as ever but I didn’t really feel like taking any photos, out of respect. We headed over to Ngaranui beach where the tide was as far out as I think we have ever seen it. 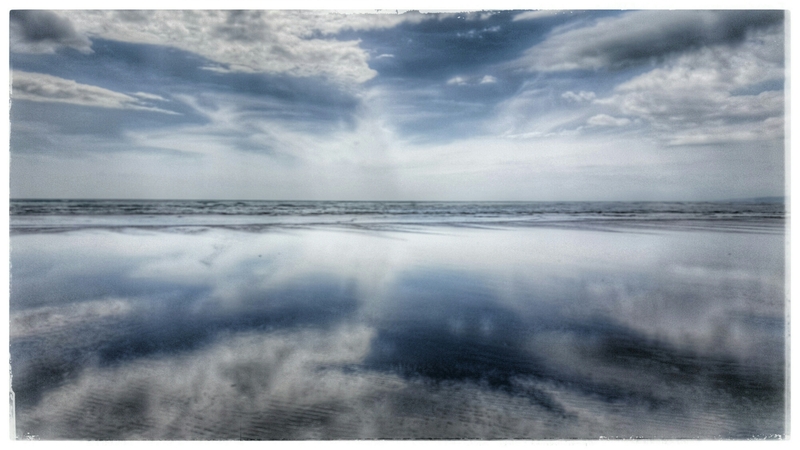 I love the reflection of the clouds in the shallow water.